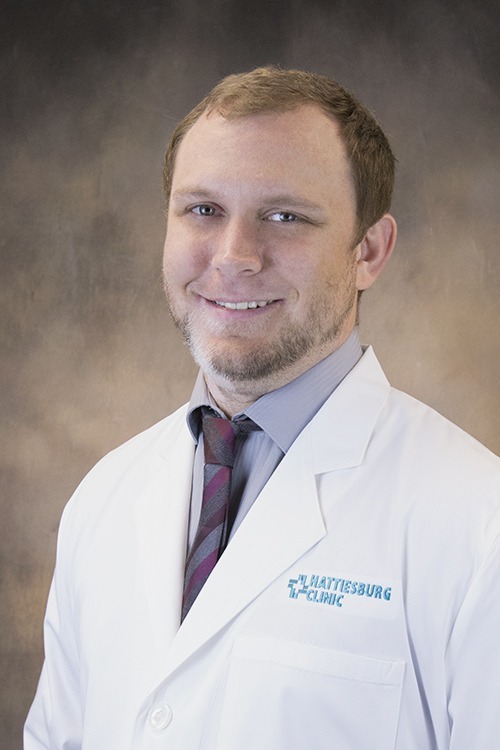 Cody C. Choate, DO, is a physician at Hattiesburg Clinic Columbia Family Clinic. Dr. Choate received his medical degree from William Carey University College of Osteopathic Medicine in Hattiesburg, Miss. He completed an internship and residency in family medicine at the Forrest General Hospital Family Medicine Residency Program in Hattiesburg. He is board certified in family medicine by the American Board of Family Medicine. Dr. Choate’s special practice interests include routine health maintenance, such as screenings and immunizations; tobacco cessation; and hypertension. He is professionally affiliated with the Mississippi Rural Physician Scholarship Program, Mississippi Academy of Family Physicians, American Academy of Family Physicians and Mississippi State Medical Association. Aside from providing thorough care, Dr. Choate’s goals at Columbia Family Clinic are to promote patient health care literacy and understanding about his patients’ conditions. Columbia Family Clinic provides comprehensive evaluation and care to meet the total health needs of each family member. These physicians offer prompt, complete assessment of the patient in their home communities and are able to obtain and coordinate consultation with other specialists when necessary. 5 p.m. – 7:30 p.m.
8 a.m. – 12 p.m.
William Carey University College of Osteopathic Medicine – Hattiesburg, Miss. Forrest General Hospital Family Medicine Residency Program – Hattiesburg, Miss.